In my previous post, I introduced you to my journey of moving my development from Windows 10 to a Fedora 28 VM running on VMware Workstation 14. Today I’ll be telling you about the most basic of needs any virtual machine user has: copying and pasting between the host- and the guest OS. 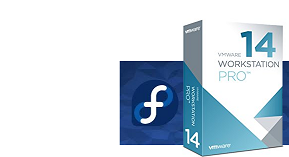 A feature I’ve enabled on thousands of VMware machines proved non-trivial on this Fedora VM. For the past six months I’ve been trying to switch my development to Linux. There were two reasons: needing to be able to do all build steps of our products requires a *nix environment; executives want us to start using Macs so they don’t have the problem of Windows users breaking Mac users and vice versa (yeah, unfortunately we live in an age where Mac users are actually taken seriously). That’s how I ended up with the middle-of the road approach of switching to Linux at least for development. 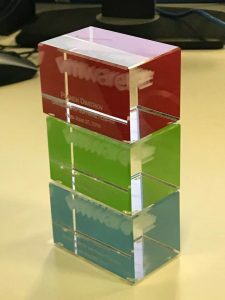 Given that I’m mainly a Windows guy and a lot of the software I need to use on a daily basis doesn’t have a Linux counterpart (Office, Visio) and there is no company-wide IT support for Linux, there were but two solutions: a dev VM running on VMware vSphere in the data center or a dev VM running on Workstation on my … workstation. There are pros and cons to both.